In an emotionally charged trial John Adams defends the British sentries involved in the Boston Massacre. 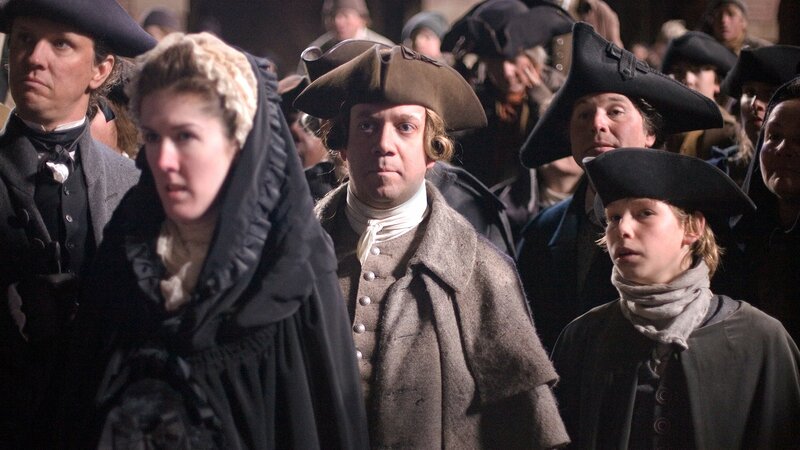 After viewing the dead and wounded on the battlefield of Concord, John Adams takes up the cause of Independence. Over the emotional objections of Abigail, John Adam and his son endure turbulent seas and an encounter with the British Navy. Following the surrender of the British, John secures a long sought loan from the Dutch and returns to Paris to oversee the peace treaty. John Adams chaffs under the mantle of Vice President for its utter lack of authority and responsibility. Following the peace treaty with England, President Adams struggles to avoid war with France despite pressure from his Federalist cabinet. In retirement, John Adams laments the perils of a long life; loss of loved ones and growing irrelevance.